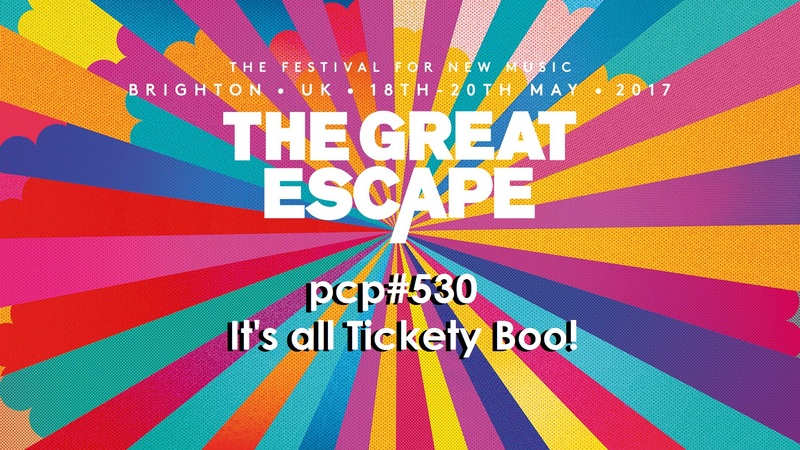 It’s All Tickety Boo!….with tracks by … Crimsons, Sharon Van Etten, Jack Ladder and the Dreamlanders, Gurr, Mo Kenney, Marc O’Reilly, First Breath After Coma, Hey Charlie, A Forest Of Fools, Olympia, Biuret, The Monotones, Faith i Branko Quintet, Mystic Braves. Idle Ways, by Crimsons. Manchester, England. Come On Back This Way (feat Sharon Van Etten), by Jack Ladder and the Dreamlanders. Australia. Walnuts, by Gurr. Berlin, Germany. Telephones, by Mo Kenney. Nova Scotia, Canada. Graceland, by Marc O’Reilly. Ireland. Hey, by Hey Charlie. London, England. Suggestive Digestive, by Forest Of Fools. England. The End Of The World, by Biuret. Korea. Into The Night, by The Monotones. Korea. Stribor, by Faith I Branko Quintet. Serbia. Desert Island, by Mystic Braves. Los Angeles, USA.